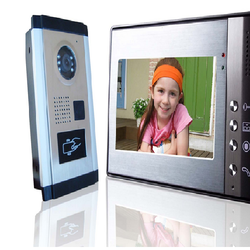 Manufacturer & Supplier of Video Door Phone Colour & Video Door Phone Color. Our product range also comprises of Security Equipment & Systems, Boom Barrier and Fire Extinguisher. To fulfill the diverse requirements of our clients, we are offering high quality Video Door Phone Colour in various design and dimensions. Our professionals manufacture these CCTV cameras under strict supervision using high quality raw materials and cutting edge technology. Offered cameras are highly demanded by our clients for their easy installation, excellent finish, high quality picture and durability.